Emily Slawski and Dmitry Zagrebin (Royal Swedish Ballet, Kungliga Operan) in Tchaikovsky pas de deux, music by Pyotr Ilyich Tchaikovsky, choreography by George Balanchine. Benois de la Danse 2016 Laureates Gala, shot on 17.5.2016 in Bolshoi Theatre, Moscow. 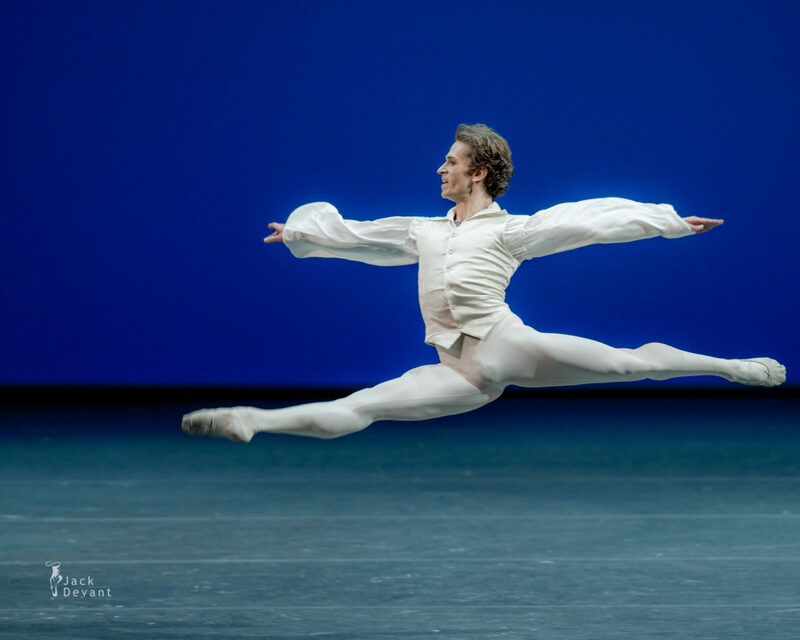 Dmitry Zagrebin is a Principal Dancer with Royal Swedish Ballet. Dmitry was born in Moscow, and grew up in a ballet family. He started in Bolshoi Theatre ballet school age of ten, and then connect to the theatre’s own company. He has won several prestigious awards, and has also devoted himself to the theater at Stanislavsky theatre in Moscow. In 2015 he became the first soloist with the Royal Ballet, where he made his debut as Basilio in Nureyevs version of Don Quixote. Emily Slawski is currently with Royal Swedish Ballet. Emily joined Space Coast Ballet Academy in 2006 when she was nine years old. In 2010, she was invited to perform with the Radio City Hall Christmas Spectacular in New York City for three years in a row. Under Janna’s Kirova coaching, Emily was a Gold medalist winner in several competitions including World Ballet Competition in 2011 and Youth American Grand Prix in 2012. She received several scholarships including American Ballet Theater and New York City Ballet. In 2012 at the age of 16 she was invited to perform with ABT in apprentice position but she chose instead a one year contract with the Royal Swedish Ballet. In just a few short months she received a life long contract with the same company.